Looking for a fun kid’s activity? 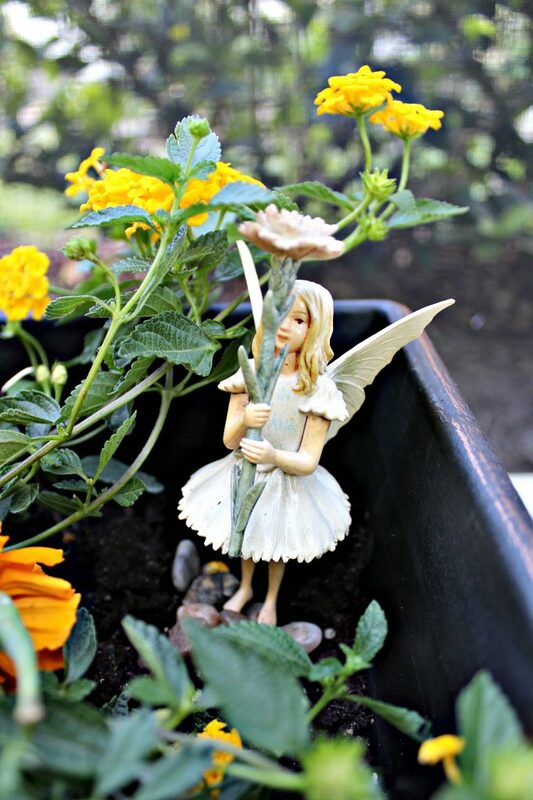 What kid wouldn’t love playing in the dirt and making an adorable mini fairy garden?! 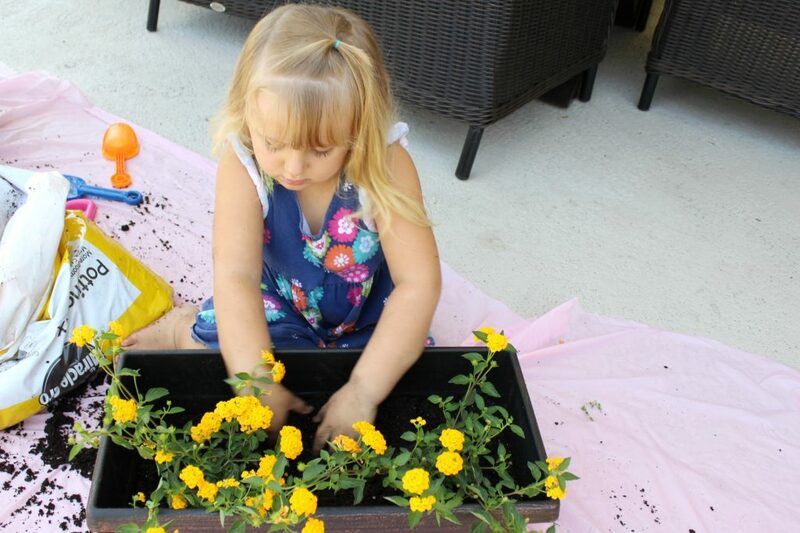 Spring is here and of course that means it’s time to plant some flowers. 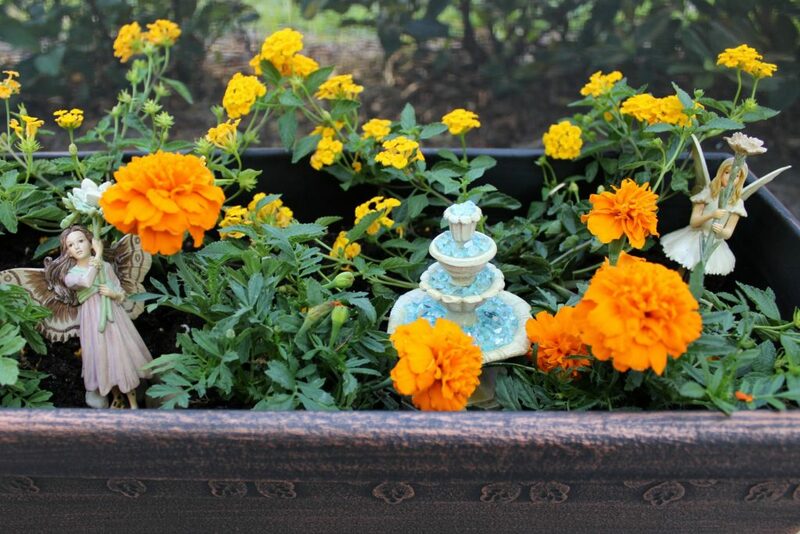 We needed more color on our lanai and I was looking forward to adding a few new planters. This year my girls really wanted to help and I thought it would be a fun family project for us to do together. However, I knew things were going to get a little messy! If you’re a neat freak, you definitely have to get over that once you have kids! I’m a Virgo through and through and have always been a perfectionist…that includes keeping things neat and clean. That all went out the window once I became a mom. Sure, I still clean…you’d just never know it if you walked in 15 minutes later. Messes just seem to magically reinvent themselves when you have little ones running around. I’m just now getting over the trauma of having blue paint splattered all over the wall last month…who knew it was possible for paint to fly that far through the air?! However, I want to let my kids be kids and if that involves a mess, so be it! That’s what cleaning supplies are for, right? 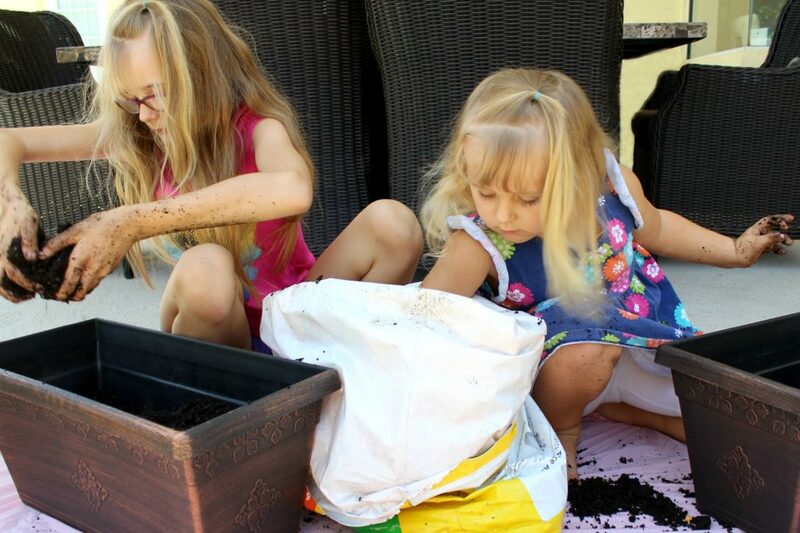 That’s why I didn’t think twice when my girls wanted to help plant the flowers. 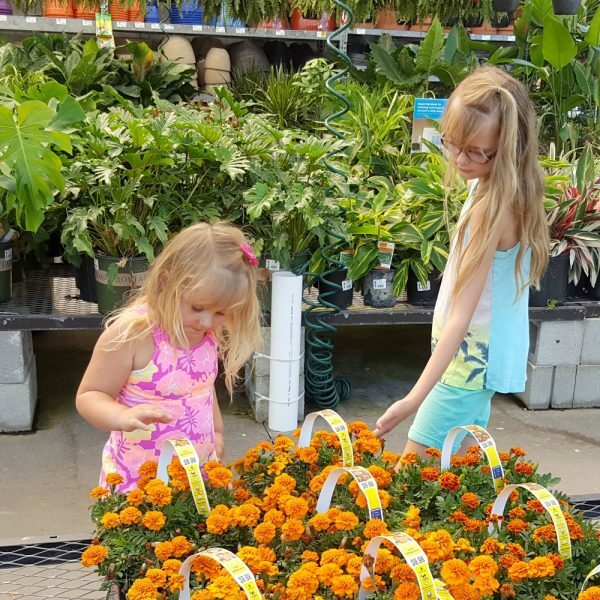 They could barely contain their excitement about having their own “gardens” so off to the store we went! 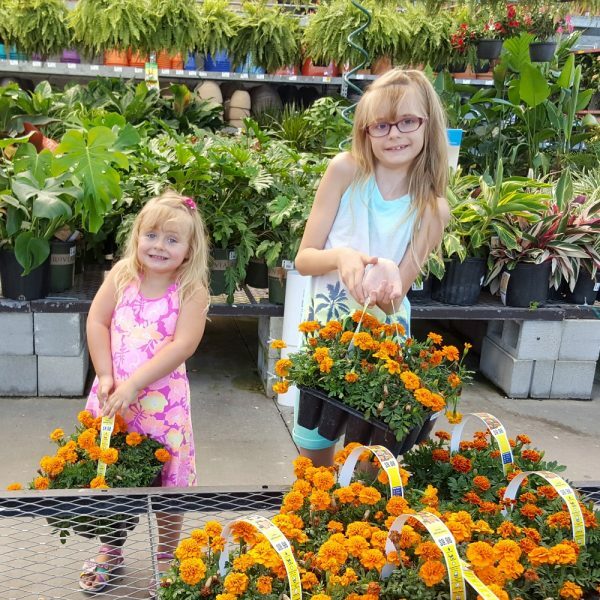 We had a quick lesson about annuals and perennials and then I let them choose their flowers. They went with annuals since they’re more colorful, which was fine by me since I’ve never been able to keep flowers alive for longer than a year anyway (if that)! The next day, we were ready to make our mess plant our flowers! I already knew potting soil would be everywhere so the first thing I did was to put down a plastic tablecloth. I buy these for a dollar and really need to get them in bulk because they come in handy for everything from painting to play-doh. It makes cleaning up SO much easier! Next, I set everything out for the girls. They were ready to go with their potting soil, planters, flowers and shovels. After all the trouble I went through to find their beach shovels (I didn’t want them fighting over the one “real” shovel we have), they decided that it was more fun to just use their hands. See, I told you kids were messy! 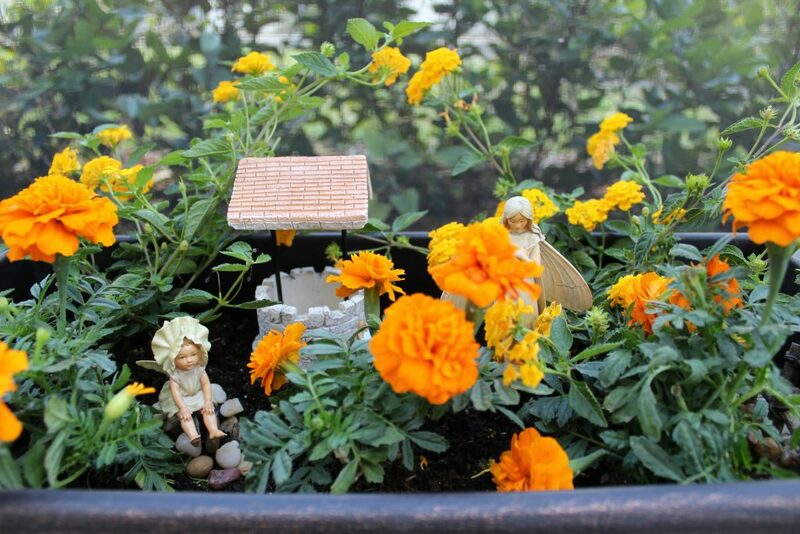 Once the planters had enough soil, and the girls were sufficiently dirty, it was time to add some flowers! By now even their clothes were a mess and I could tell that I was going to need some extra help with the clean-up! 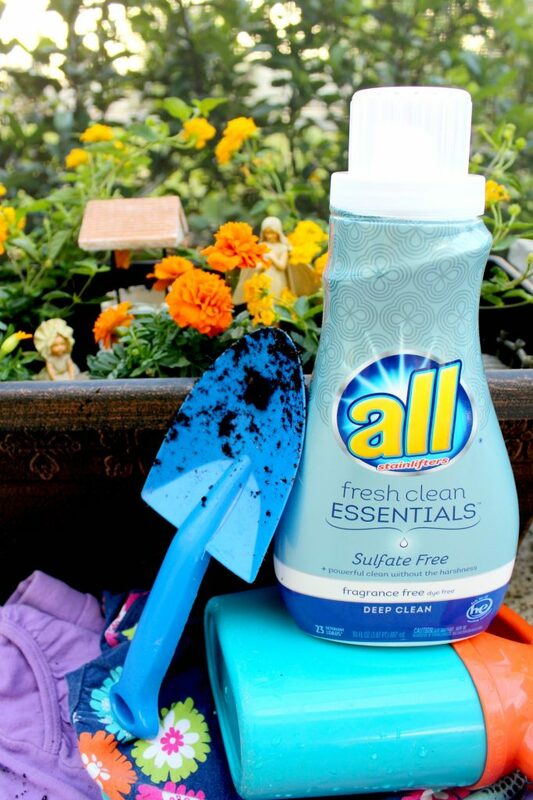 I knew it was all under control though because I had all® Fresh Clean Essentials™ on hand! I love that it’s sulfate free to help preserve the clothing color without harshness. I’ve used sulfate free products to help protect my hair so why not use it my laundry too! It also gives your laundry a good deep down clean, something these clothes are definitely going to need! You can find the new all® Fresh Clean Essentials™ Fragrance Free and all® Fresh Clean Essentials™ Fresh Scent online at Target.com…so convenient for busy moms! Just follow the directions on the packaging and you’ll be all set. But wait, I’m getting ahead of myself here. We’re not quite ready to throw all those clothes in the laundry just yet! 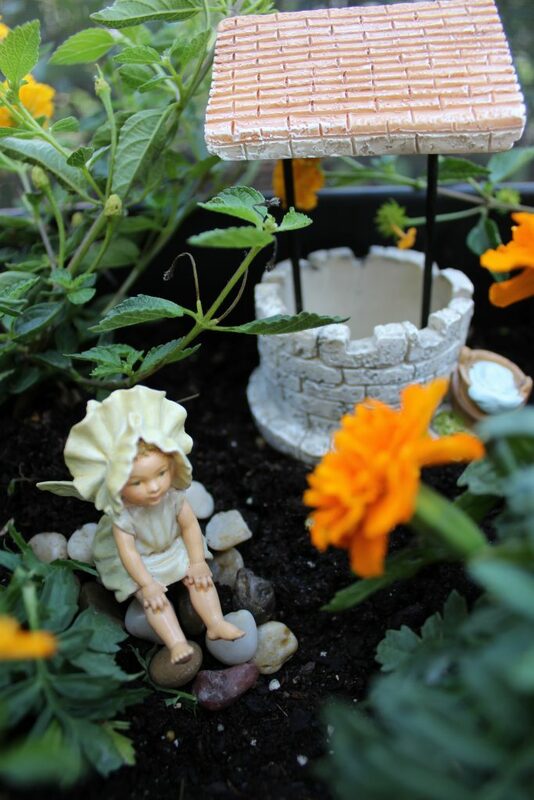 Since we still haven’t had the chance to rebuild the fairy garden from our old house, we thought our fairies might want to live in our mini gardens for awhile. It’s certainly much prettier than the cardboard box they were living in! 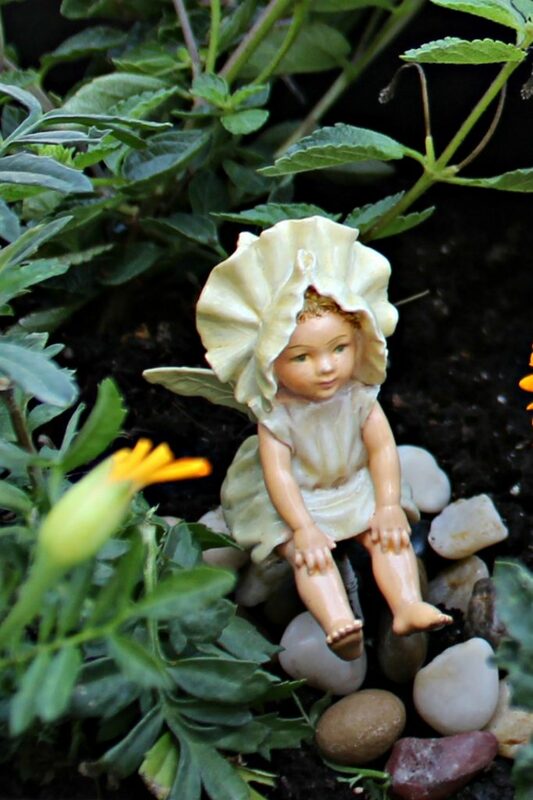 After the girls flipped a coin for the baby fairy (that’s the favorite), they added the fairies to their gardens. 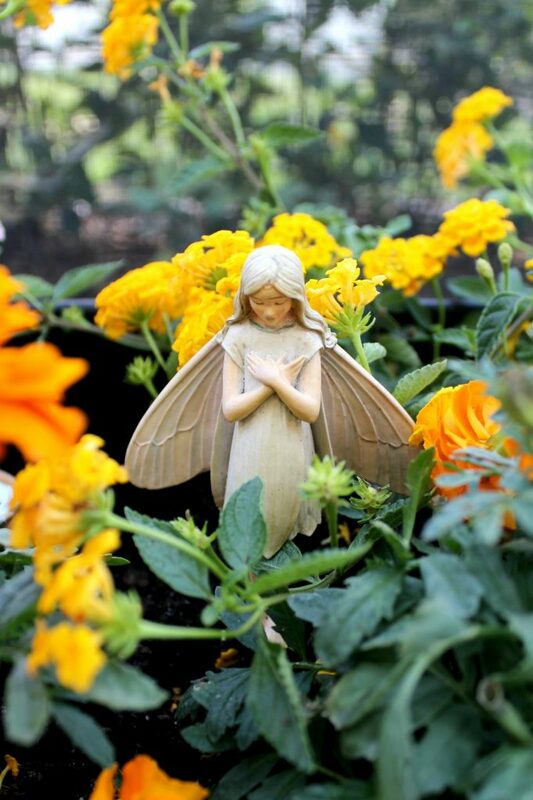 Finally we added some accessories so that our fairies would feel right at home. 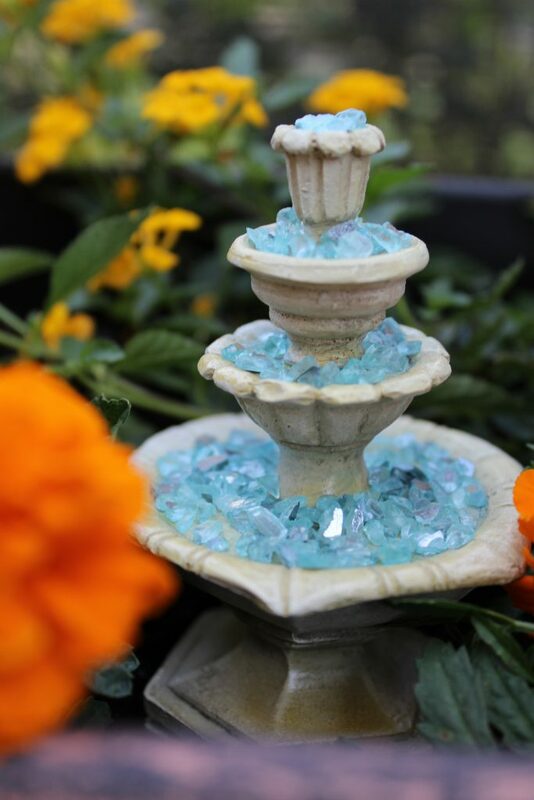 Every fairy garden needs a wishing well and we also added a bridge and fountain. Now it’s time to get those clothes clean! 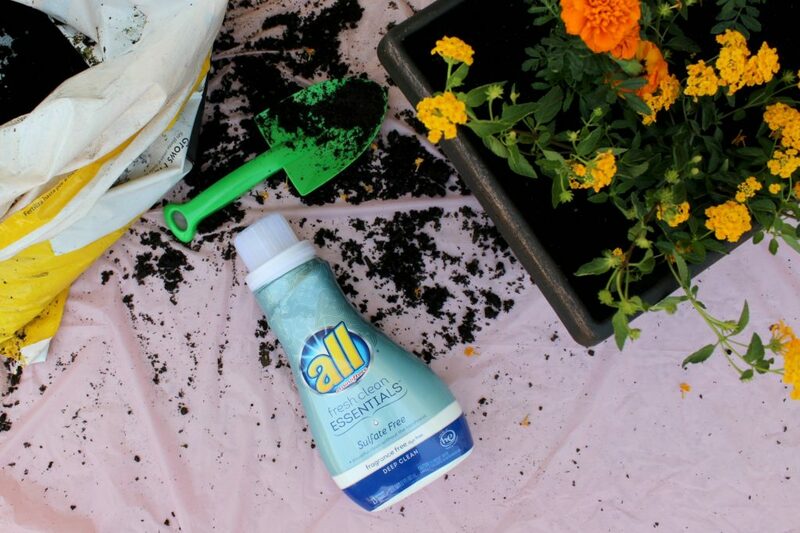 It was nice to know that I was going to get a great clean from my all® Fresh Clean Essentials™ and that my kids were able to just have fun being kids! It’s a win/win for everyone! Was it hard for you to get used to the messiness that comes with having kids? What’s the biggest mess they’ve ever made? Please tell me it tops having blue paint splattered all over the wall! I have to admit, I did them as much for myself as I did for the girls! You should definitely try it…you’ll all have so much fun! This is so cute. I think my boys would like fairy gardens too. I need to keep my eyes open for some of these on sale when I shop. I always say you can tell when kids have had a good time if they’re messy! lol! 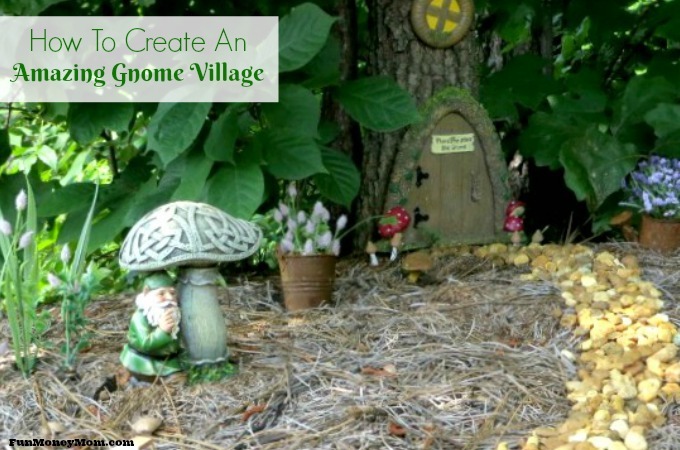 I just love your fairy gardens – so creative! 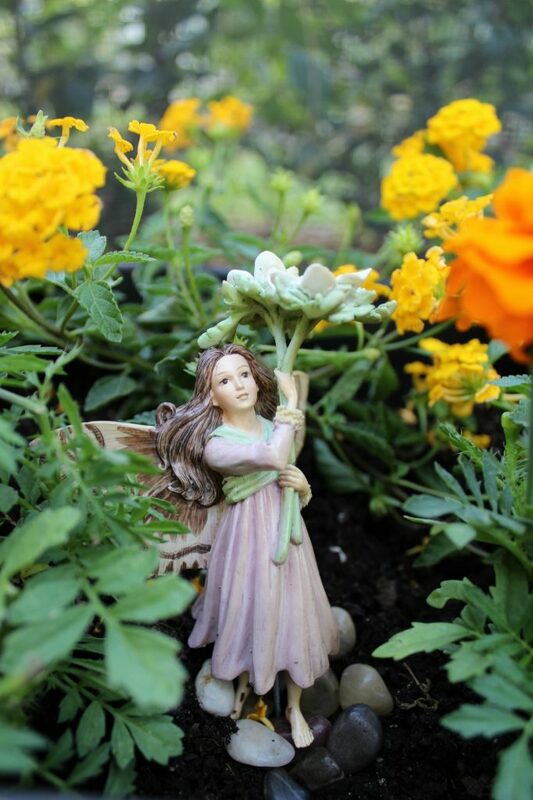 I have been collecting fairy garden accessories for about 2Yeats now. I just couldn’t decide what container to use. I finally found an old fashioned wooden wagon. I was ecstatic. So I can finally put it together with my granddaughter. I can’t wait. Yours are beautiful. I bet they enjoyed the whole process. I love this! It looks like such a fun project to do with kids. I don’t have kids of my own yet, but I have a dog. The messes a dog makes, I think I’m still adjusting to. It seems like everything is covered in blankets to protect furniture. There are dog bones and toys everywhere. I can only imagine how kids will compound the mess! It is a mess I am very much looking forward to. It takes some getting used to but it’s all worth it. It sounds like your dog is getting you prepared…LOL! 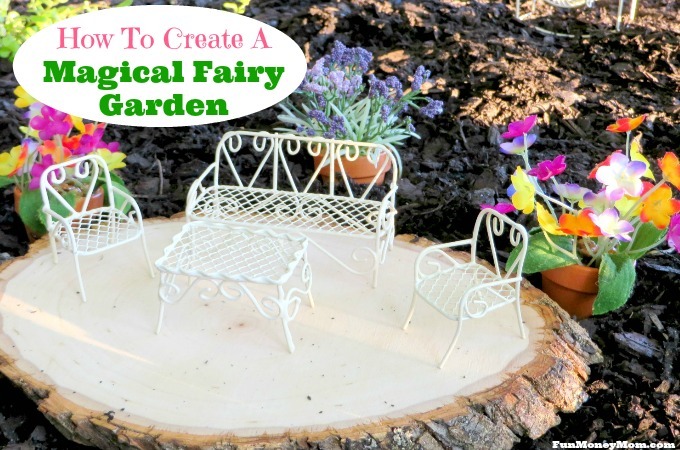 I just love the idea of fairy gardens. These are adorable- don’t worry about the mess, life is short and childhood is even shorter. Enjoy! So adorable! A good job done by all. Stopping by from Weekend Wind Down and sharing on social media! 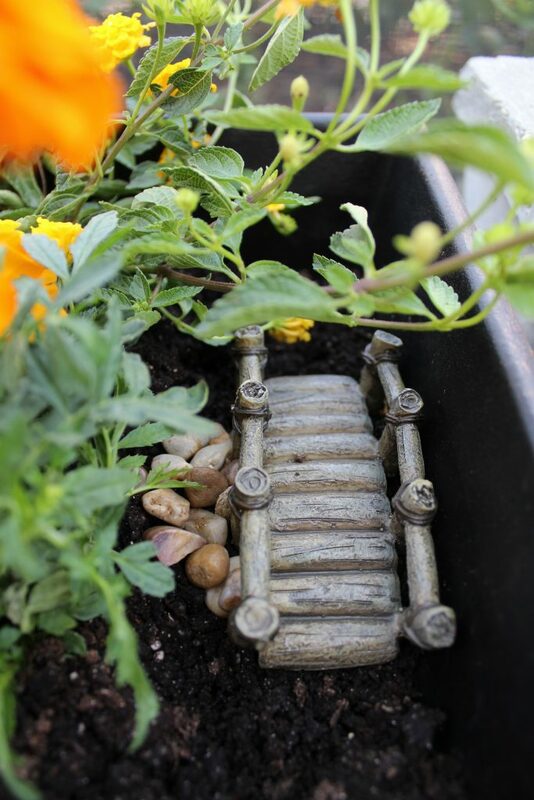 Awe, their fairy gardens are adorable! 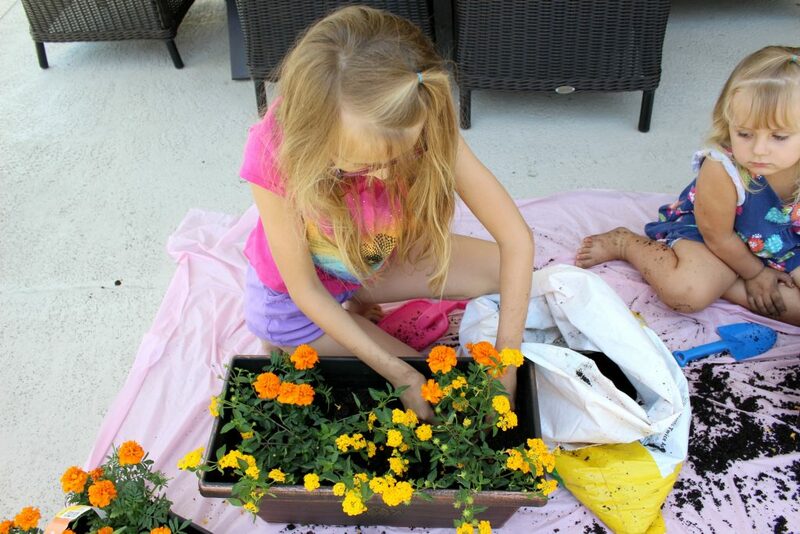 This reminds me that I need to get more marigolds for my kids to plant! I know Carolyn, Michelle, and Karen. Thanks for bringing your creative post to Blogger’s Pit Stop. How sweet! 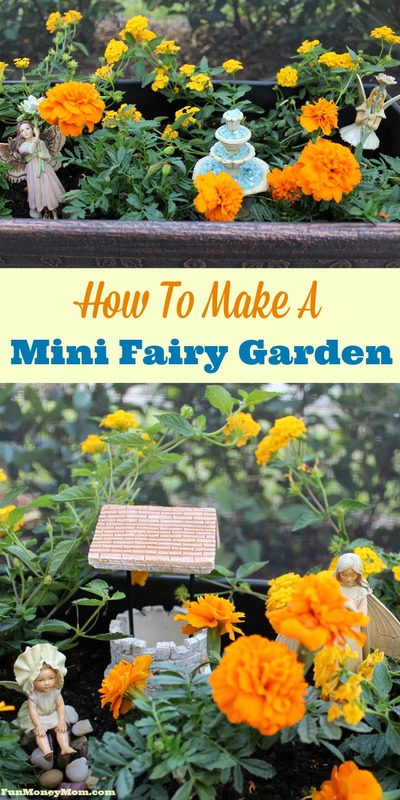 This looks like such a fun project to do with little ones! Thanks so much! You should definitely make one…they’re so much fun! Thank you! Your kids would definitely love it!